Welcome to DEFINE body & mind Sites. This is your first post. Edit or delete it, then start blogging! The post Hello world! appeared first on DEFINE: Katy. The post Make Fitness Fun with a Trampoline Workout appeared first on DEFINE: Katy. 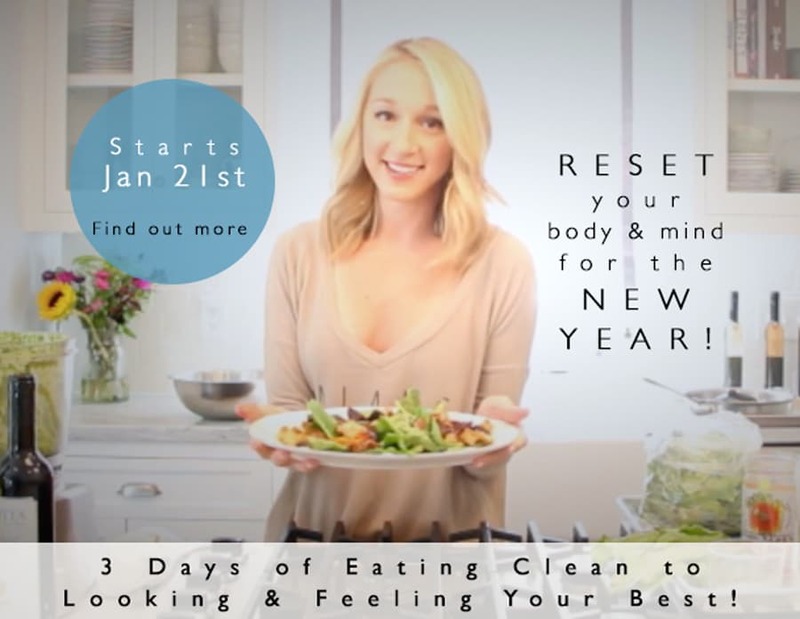 The post Start the New Year Off With A Good CLEANSE! appeared first on DEFINE: Katy. The post Keep Your 2017 Resolutions Through Variety! appeared first on DEFINE: Katy. If your New Year’s resolution is to be healthier, take better care of yourself, and get fit, check out DEFINE body & mind. Chances are you’ve made a similar New Year’s resolution before — and then broken it. Perhaps you lost interest, got in a rut, and then fell off track. You know you will have a much better year if your resolution sticks, so, THIS year, stop the cycle of not following through and let DEFINE help you stay on track! DEFINE body & mind exists to educate people on how to become their absolute best, based on the belief that physical strength, length, and balance impact both states of mind and being. What’s even better about DEFINE is that we offer a range of goal-specific, effective, efficient, fun and balanced classes and methods, filled with supportive clients, and taught by fun and experienced instructors. On top of that, the variety of our multiple methods allow you to define your synergy of wellness and switch it up for a healthier body and mind. At DEFINE, clients can experience 5 classes & methods under one roof for UNDENIABLE RESULTS. DEFINE body is a perfectly balanced 60-minute class of strength, flexibility, and fun. This results-oriented class combines Pilates, yoga, ballet, and core strengthening to target all the major muscle groups in the body. We use small hand weights, a ballet barre, a mat, and a ball to help you burn fat and lose inches. DEFINE rev is our take on indoor cycling incorporating the ultra-effectiveness of our DEFINE body class onto the bike, combining principles of isometrics with cardio blasting, high-intensity fun! DEFINE bounce is a fun, high-energy, fat-burning, 45-minute class of strength building for body, mind, and heart. Using a mini-trampoline, lightweights, and resistance bands, it is the ultimate high-intensity yet low-impact workout that produces real results while prioritizing sustainable health for the joints and spine. DEFINE yoga is a balanced practice that allows you to focus on building strength, length and balance in both body and mind. Perfect for an actively practicing yogi or first-timers, you’re sure to benefit. As you are certainly aware, regular exercise is good for you. However, it’s also important to vary your fitness routine for maximum, sustainable results. Your body–and brain–will reap benefits when you mix up different classes and methods. It’s the key to stimulating different muscle groups and preventing boredom, while also putting and keeping you on track to be your ABSOLUTE BEST! Check out our NEW DEFINE Programs and see what might be best for you to help you achieve your goals for 2017. The post New Year, BEST Year! appeared first on DEFINE: Katy. SWAG Bags Will Be In Studio Next Week! Since the hallmark behind D E F I N E is promoting a healthy lifestyle, it’s truly our goal to help you shine and be your ABSOLUTE BEST for 2017. Many people get excited initially about turning over a new leaf for the new year and losing weight is the #1 resolution people make, but what distinguishes D E F I N E is that we offer a sustainable solution for overall health and wellness for both, body and mind. The New Year is a perfect time to renew your fitness and wellness goals! Why is D E F I N E so amazing? It is the only boutique studio that offers you 5 methods of fitness in one studio for undeniable results. You will have fun, build camaraderie, stay motivated, and experience a transformation in 10 classes or less! A LITTLE SOMETHING EXTRA: Everyone loves a little something extra and our SWAG bag is filled with some goodies to set you up for success! Feel equipped and ready to kick off your new year in style and with all the essentials. 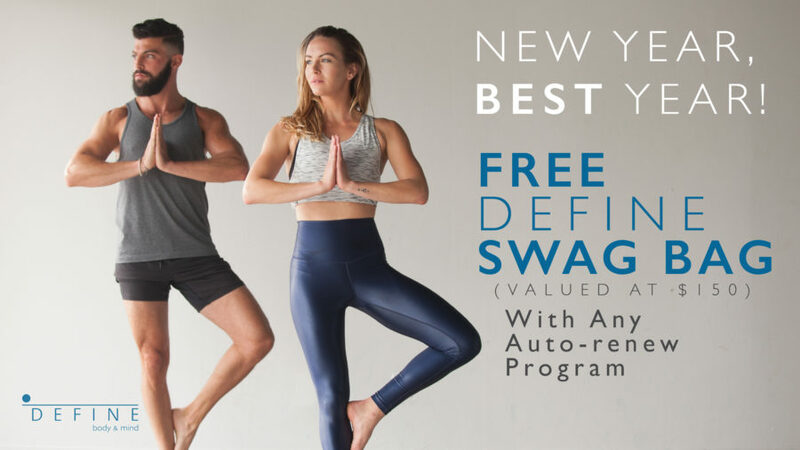 FOR A LIMITED TIME ONLY, GET A FREE D E F I N E Swag Bag With Any Auto-renew Program purchase! Valid in studios only. To find a studio near you, CLICK HERE! Never been to D E F I N E ? Get Your 1st Class FREE, CLICK HERE! The post Re-charge and Re-fuel: Portugal Retreat appeared first on DEFINE: Katy. If you love nature, healthy & organically grown food, meditation, and yoga- you have found your perfect trip! Participate in daily yoga and meditation along with excursions to the Mediterranean beaches and charming white-washed fishing villages of The Algarve. Located at the very south of Portugal, Algarve offers serenity to help re-charge and re-fuel from the daily hustle. “If I were to create my ideal trip, it would have yoga, meditation, amazing food, interesting people, the ocean, hiking, a comfy bed, red wine, and a good book. And, if you were to include the Mediterranean Ocean on top of that, I would say “somebody pinch me!” Well, I was just pinched, and it is all still true. 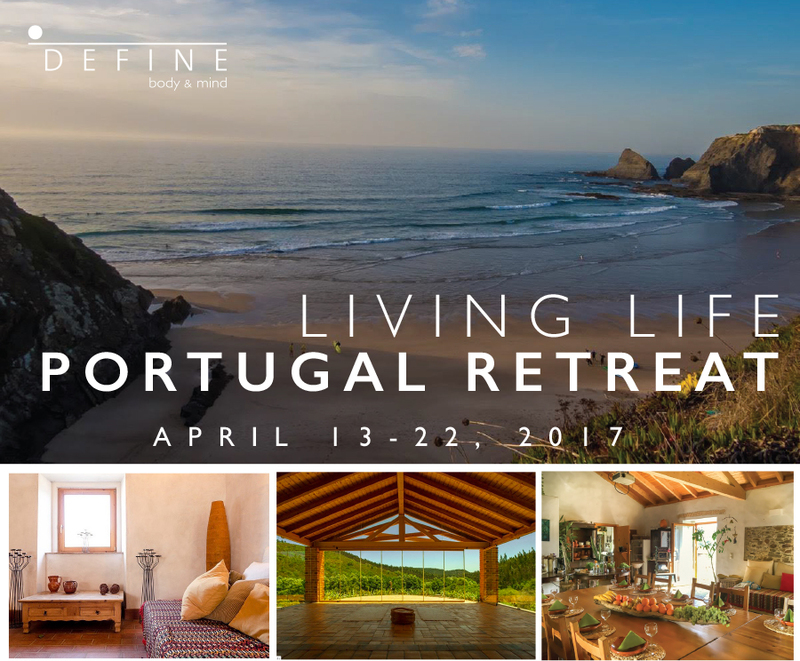 Join me and D E F I N E this April 13th-22nd for an unforgettable life-enhancing excursion to the south of Portugal: The Algarve. I, along with one of my dearest friends in the world, Cristi Christensen, celebrity yoga instructor, will be leading a 10-days, 9 nights magical excursion. We will be staying amongst an evergreen forest reservation, amazing canopy vistas, endless creek trails, and fine lodging along the Mediterranean Ocean surrounded by friends who share your goal of living life to its fullest. Email retreats@definebody.com for more information and registration. Please don’t hesitate to reach out to us if you have any questions. We cannot wait to share this experience with you all. Register quickly as space is limited! The post 12 Steps To A Positive Life appeared first on DEFINE: Katy. 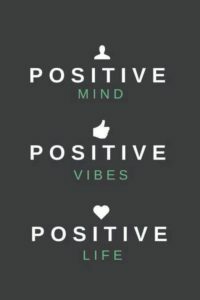 As they say, “Positive thinking can help you achieve the impossible!” Of course, there are several quotes you can locate on the benefits of positive thinking and positive attitudes, but that is my favorite! A positive attitude makes you happier, healthier, and more resilient; it not only improves your relationships with your partner and family but also your friends and everyone you meet; and as the quote says, it even increases your chances of success in any endeavor (achieve the impossible). I try to keep in mind that having a positive attitude also makes you more creative, which with my position in the Marketing and Advertising Industry, it definitely helps. Keeping a negative attitude prevents you from fully enjoying your life and is contagious to those around you. We’ve all had those friends that show up at a party or event and exude misery…I know I don’t like to be around that for long, and I try my best to avoid being that person in return! If you are finding yourself with more negativity sneaking up in your thoughts and it’s starting to affect you at work or with friends and family, maybe its time you make small adjustments to your daily life and mindset. When positive habits are formed, it will make you, and everyone you interact with, happier. Here are 12 tips to help you turn a negative mindset to a positive with minimal effort that will certainly make you a happier, healthier, and more productive person. Start Your Morning With A Routine That Makes You Happy. Whether it’s morning snuggles and kisses with your Puggles (which is my favorite), having coffee out on your balcony with the paper, a bounce class at D E F I N E, or meditation session at D E F I N E living, find what tends to kick off your day with a smile and keep it up! Sometimes one single event, altercation, or issue can overshadow the enjoyable parts of our day. If we are aware, we can intentionally focus on the good to offset this imbalance. Keep perspective. We’ve all been at a Starbucks drive-thru line that seemed to take forever but it’s possible that someone was going through a horrible life-changing event, or maybe just everyone really needed coffee at the same time! It will all be alright! Think of 3-5 things that you are grateful for and take moments during the day to remind you of these things. 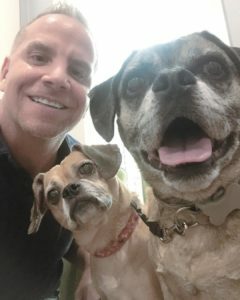 Things I’m grateful for are my Puggles, Jake and Molly (which I mentioned earlier), amazing friends, good health, loving family, and my ability to not take myself so serious. Find what you are grateful for and do this for yourself. Reframe Challenges At Work Or In Life. There are no dead ends, only temporary delay or wrong turns. Although we might try, there are very few things in life that we have complete control over. We should not let this define us or turn us into Negative Nancys. Have fun with challenges, embrace them, and use them as an opportunity for growth. Just Smile AND Use the Power of Humor. I’m known for smiling, sometimes even in the hardest times of my life. That’s just how I get through things! Smiling will give you an instantaneous attitude boost. Try it for one minute and see what happens. Smiling releases endorphins and serotonin, also known as the “feel-good,” happy hormones. The more you smile, the more you will see your overall attitude change for the better! EVEN BETTER than smiling yourself, think of how great you feel when make others smile! People who know how to laugh at themselves tend to have a great attitude. Most that know me have heard me sing at the top of my lungs (even though I sound horrible), tell a ridiculous joke, or detail an embarrassing experience. This helps me cope and can be a power tool to lift my mood and it usually gets a smile out of others. Get Good At Being Rejected. Rejection is a skill and lately, I’ve seemed to experience my fair share. Think of those broken hearts as temporary drawbacks. No one makes it through life without being rejected once, twice, or even a hundred or so times. Don’t let it harden you and don’t expect the worse. That guy or job you thought would be perfect may have kept you from finding your true happiness, so no fretting! Words we use have a lot more power than we may initially think. As they say, “What your mind hears, it believes.” If when chatting with friends, you describe your life as boring, lonely, and busy, it’s how you will perceive it and you will feel those effects in both, your body and mind. If you use positive words and focus on the happy, you will see your life in a whole different light and find more enjoyment in the way you chose to shape your life. Have you noticed that we hold our breath sometimes when we are concentrating on something? Can you feel your breath change when you are angry or anxious? That’s why I tend to turn bright red when I get embarrassed. Our breath changes depending on how we feel. The great news is that the connection goes the other way too, so sometimes take a second and just breathe! Have Solutions When Pointing Out Problems. Being positive doesn’t mean you’re oblivious to problems. Positive people have constructive criticisms to improve conditions. If you are going to point out problems in people or situations, place just as much effort into suggesting solutions. We all have had people we’ve worked with in the past that point out all of the things that are wrong, but never offer ways to make it better. Avoid that! In order to have a positive attitude, focus on the good and believe it or not, there is good in almost every situation. Try to focus on the good in yourself, your life, and in others. It helps! Last but not least, have a purpose. As the character in the Broadway show, Avenue Q realizes, having a purpose in life gives you a fixed point in the horizon to focus on, so that you can remain steady and focused during all of life’s challenges. Bringing meaning and purpose to your life will do wonders to bring positivity and give you a good attitude. The post Blog Post Title appeared first on DEFINE: Katy. The post Beginner’s Guide To bounce appeared first on DEFINE: Katy. I have to admit, I’m obsessed with our bounce classes at D E F I N E. If anyone knows me, they know it’s my favorite thing to teach! But first, what exactly is D E F I N E bounce? bounce is a fun, high-energy, fat-burning, 45-minute interval cardio class of strength building for body, mind, and heart. bounce keeps the heart rate & calorie burn high, because we are on and off the trampoline every 1 or 2 songs. bounce is great for building strong, lean muscles because it incorporates elements of the DEFINE body classes. bounce keeps me coming back for more every time, because it’s always a slightly different workout and is always energizing. When D E F I N E Founder, Henry Richardson, debuted the classes in the spring of this year, I was immediately hooked. bounce became my favorite workout for two reasons: it’s FUN and incredibly effective. Looking back, I realize my mindset helped me jump in so quickly, taking lots of classes and signing up for the first round of instructor training. I always tell clients not to take themselves too seriously: We’re a bunch of adults jumping on TRAMPOLINES! So really, take it easy. bounce, like most things in life, is not about being perfect. It’s about doing your best and enjoying the ride. So, jump in and don’t worry about if you’re “doing it right.” You’re “doing it right” if you showed up and had a good time! If you’re nervous about trying something new, no worries, we’ve all been there. One of the biggest lessons I’ve learned through trying bounce, meditation, or a new language for the first time is this: it pays sometimes to be comfortable with a little uncertainty. As in, I didn’t know what to expect the first time, or the first few times I took bounce. I wondered what would come next, what it would be like, or if I could even make it through the first class. Would I be able to keep up with the beat? The fun started when I let all that go and did what we do best at D E F I N E: focus on the moment, and give my all to the here and now. You can always personalize the workout for your body and your day. 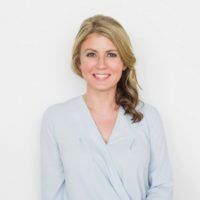 I like to quote Henry by saying this: “One of the best things I could ever hope to teach you is to listen to your body, and to be empowered to do what it asks.” I tell clients if they prefer the longer count that I offer, take it. If you feel like pulsing, go for it. If you need to slow anything down or increase your range of motion, please do that! Your body is a much better teacher than I could ever hope to be. What your body says you need wins out over my suggestions any day. So don’t be afraid of “not being able to do it all.” You’re going to do exactly what your body says it needs, which is exactly the workout YOU need. The mind-body connection is more powerful than you may think. One of my favorite ways to teach is to use visualization. For example, when my clients are doing leg lifts in a body or bounce class, I tell them to imagine they’re pulling their heels through the sand. “See a groove in the sand get deeper each time as you lift and lengthen your leg each time.” They’re usually surprised at how much more effective the workout is with these small tweaks. The same is true for our mindset around taking a class. By looking for the humor, or for things to enjoy in class, as well as focusing on how to give your best to each set or rep, we avoid any negative self-talk or distractions about our to-do lists. Whether you’ve tried bounce once several months ago or are a first timer, remember in a sense that we’re all beginners each day. You probably have more in common with the person on the trampoline next to you than you may expect. So introduce yourself, laugh at how ridiculous it is that we’re all on trampolines and enjoy what’s next. Come experience one of my bounce classes. CLICK HERE to register for a class that’s convenient and have some fun! CLICK HERE to check out my latest bounce playlist. The post 10 Tips To Stay Healthy During The Holidays appeared first on DEFINE: Katy. The holidays are an exciting time to enjoy friends, family, festivities, and food. And, contrary to popular belief, you can do it all while staying healthy & fit! You’ve got two choices: avoid it all or use the season to your advantage! It would definitely be more fun (and a lot less lonely) to make the holidays work for your fitness goals. Luckily, those pounds and “blah” feelings can be avoided through mindful eating and staying active using a few simple strategies. Make exercise a commitment. During this time of the year, choose an exercise routine that involves group fitness workouts like those offered by DEFINE. When you choose something that requires you to register, like a D E F I N E class, and treat it like you would any other commitment, it will help you stay accountable. Exercise early in the day. Especially on days when you know you’re going to be busy. Get your workout in early so you won’t have to worry about it later on. Staying in a routine will mean it’s not as hard to get back on track after the holidays, so there is no need to make it a resolution for the New Year. We know those don’t last! Share Socially. Using social media as a way to share your goals, track your progress, and have a little bit of fun with the whole process. Check in, take selfies, & tweet it out. Let your friends know your plans and you’ll be likely to garner support and positivity. Going back through your posts will also remind you to keep up with your goals and progress. Enjoy in moderation. Don’t deprive yourself. You’ll only be frustrated and more likely to overeat later. Plan which extravagant holiday treat you’ll indulge in ahead of time and that way you can enjoy one thing you really love without going overboard. It helps if you have healthy snacks on hand. When you eat a healthy, satiating snack before going to parties, you’ll be less likely to snack mindlessly or overeat at meal time. Another option is to create healthy versions of your favorite treats with D E F I N E foods ingredients to bring along and share with everyone. Just say NO sometimes. Remember that you don’t have to accept every holiday treat that comes your way. Practicing moderation by only indulging every now and then will help keep your nutrition and diet goals on track. Relax and get your zen. Get into a ‘Stress-Free Zone.’ Spend at least 10-20 minutes every day doing something that relaxes you. At D E F I N E we offer meditation, yoga, & mind classes, which are a perfect way to escape, refresh, & renew. Keep the focus on holiday fun, not food. Most holidays are associated with certain foods. Christmas at your house might not be the same without your mom’s delicious sugar cookies, but that doesn’t mean food has to be the main focus. Instead, focus on other holiday activities, like chopping your own tree down, power walking in the mall while you shop, caroling in the neighborhood, or spreading holiday cheer while strolling around your community. Stock the freezer with healthy meals. Everyone’s overly busy during the holidays, and most of us want to spend our time shopping, decorating, or seeing friends and family, which leaves less time to cook healthy meals. Prepare by cooking healthy meals intended specifically for the freezer. You’ll be thankful later when you can pop one of the meals into the oven or microwave and turn your attention on other holiday fun. Toast the new year with just one glass of bubbly. You may be celebrating, but that doesn’t mean that you have to overdo it. Alcohol contains a lot of calories! What’s more, alcohol breaks down your inhibitions and judgment, which makes you that much more likely to indulge in junk foods that you would otherwise be able to pass up. Not to mention, waking up embarrassed or stricken with a hangover that puts you out of commission. So in closing, it’s important to make the change! The habit: Stay physically active during the holidays. The result: Feeling better, staying relaxed & gaining less weight.